The LAUSD strike has concluded and teachers returned to their jobs yesterday. Dan Morain, now with CALmatters, and formerly an LA Times reporter and editorial page editor of the Sacramento Bee, provides a must-read email, issued every weekday morning, that covers the news. My biggest concern for the district is shared in the clipping from his daily missive, also of yesterday, and is the first piece below. Speaking of famous columnists, Jerry Sullivan, editor of the Los Angeles Business Journal, and formerly the editor of the Orange County Business Journal and author of its famous Inside OC page 3 column, has started a subscription email newsletter. A fun and overly generous sample is the second piece below. Since I’m discussing columns, my latest of the occasional retrospectives on Orange County’s infamous bankruptcy year is provided immediately below. Also considering his political options is local businessman John Moorlach, whose name has often been tossed around during prior elections, although he has yet to run. Please forgive me the informality of a memorandum, but I need to forward a brief message to you before you hear it somewhere else. As your Certified Public Accountant you are aware of my devotion to my family, practice, and community. If you’ve been in or talked to me since the 1993 Revenue Reconciliation Act passed, you know my anger level with our government and its spending habits. Instead of complaining I want to make a difference. I will be running for public office in the June 7th primary to make my public contribution. I will be running for the position of Orange County Treasurer-Tax Collector. This position has been held by Robert L. “Bob” Citron since 1966. It is time for a change and a fresh look at how our County is spending its funds. I will be maintaining my practice throughout tax season and beyond. Rest assured that your tax preparation and accounting needs will be met with the same professional attention as in the past. I plan on taking the month of May off to campaign, but will be available to handle urgent client issues should they arise. At this time we are sure that Mr. Citron will run for an eighth term. Running against a long-term incumbent is one of the most difficult of campaigns to pursue. This challenge will not be easy and success is not assured. Accordingly, my top priority will be my practice to make sure it is there should I not prevail. If I do win the seat, then I plan to take a leave of absence from the firm effective January 1995. I want to come back. Working for you truly is the most fulfilling occupation I would ever want to pursue. Thank you for your patronage, support, prayers and understanding. John Moorlach is another leading candidate, though he may opt out to preserve time to spend with his family or make a run for the Assembly. Strong conservative, civic-minded, decent soul. Though he may be political opposite of [Karen] McGlinn, Moorlach is a consensus builder and likely could work as well with McGlinn as a conservative soul-mate like [rerunning current City Councilman Peter] Buffa. Karen McGlinn would go on to assume the role as Chief Executive Officer of Share Our Selves (SOS) in Costa Mesa and we would work very closely on addressing homelessness and the health care safety net dependent on County funding and we continue to maintain a great working relationship to this day. Within a few hours of Ferguson’s morning announcement, Republican insiders identified nearly a dozen potential candidates. Other Republicans who said they are considering a bid for Ferguson’s seat included Chuck DeVore, a former congressional staffer and White House aide in the Reagan Administration; Jo Ellen Allen [Chatham], a former Assembly candidate and California director of the Eagle Forum; John Moorlach, an accountant and the assistant treasurer for the county Republican Party; Bruce Peotter, a Newport Beach lawyer, and Phillip B. Greer, an Irvine lawyer. GOP officials also offered a list of potential candidates that included Newport Beach City Councilwoman Evelyn R. Hart; Costa Mesa Councilwoman Mary Hornbuckle and Marilyn Brewer, a staff assistant to County Supervisor Thomas F. Riley. Jim Toledano, an Irvine lawyer, said he plans to run as a Democratic candidate. Los Angeles teachers were back at work today, after a six-day strike at California’s largest school district. Legislators will have a hand in at least some aspects of the settlement, CALmatters’ Ricardo Cano writes. The Los Angeles Unified School District board, which has been controlled by charter school advocates, is being called upon to urge legislators to place a cap on the growth of new charter public schools in Los Angeles. Legislators also will be urged to increase public school funding, though Gov. Gavin Newsom already is proposing to allot $80 billion to that line item in his $209 billion spending plan for 2019-2020. Republican Sen. John Moorlach of Orange County said the settlement does nothing to solve L.A. Unified’s long-term financial problem. State Senator John Moorlach is slated to address the annual luncheon meeting of the South Coast Metro Alliance, a long-serving advocacy group for businesses in the area, on Feb. 8 at the Center Club. 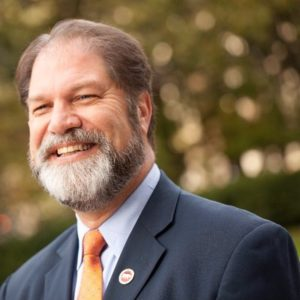 Any Republicans struggling to see a future for the party in California—and that’s not a clear picture at all—should give some serious thought to Moorlach for statewide office. State Controller or Treasurer would be natural spots for the one-time CPA, but the GOP just might be hard-pressed to find a better candidate for governor next time around. Check out Moorlach’s review of Gov. Gavin Newsom’s proposed budget at moorlach.cssrc.us and note the command of facts and financials as well as the reasonable tone. No partisan lean on my part here—just an assessment of what looks to be prime political horse flesh, with a note that everyone is better off if California has at least two viable political parties competing for votes.